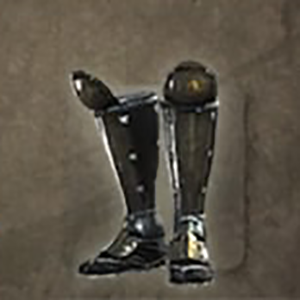 Togakushi Shinobi Apparel: Suneate is a Foot Guards in Nioh. "Shin guards made from thick leather strips wrapped into semi-cylinders. Many ninja concealed a poison dagger or other tools on the inside of their suneate. This apparel was worn by the Togakushi ninja, whose base was located at Mount Tokagushi in northern Shinano province (present-day Nagano prefecture). Sarutobi Sasuke, who travelled the lands in order to master the ninja arts, trained rigorously on the precipitous crags of Togakushi in order to hone his skills"